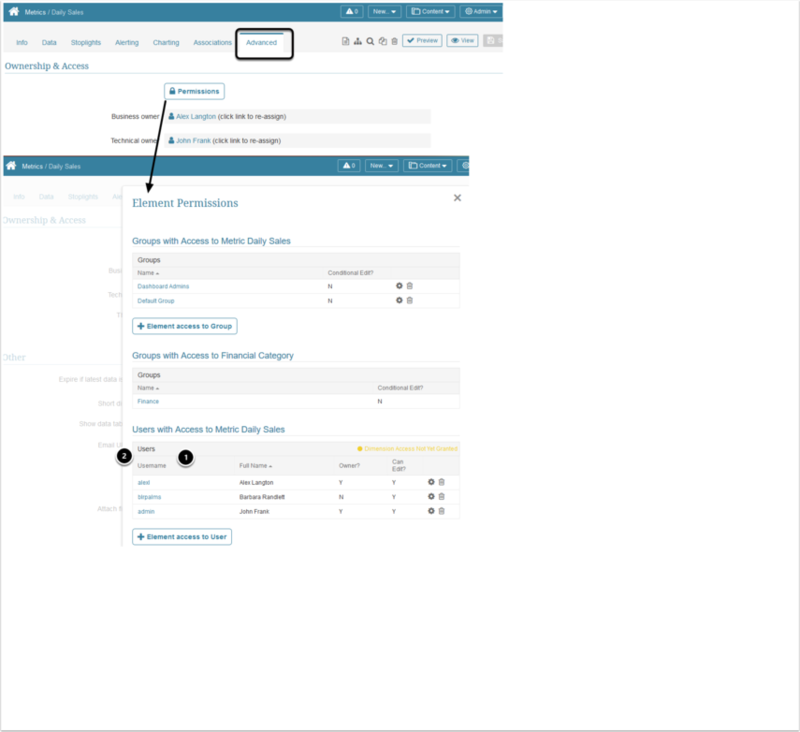 Regular Users have no ability to Edit elements, only receive View Access given restrictions on Dimensions and source element View Access. Power Users have the implicit Privilege to Create any type of element. 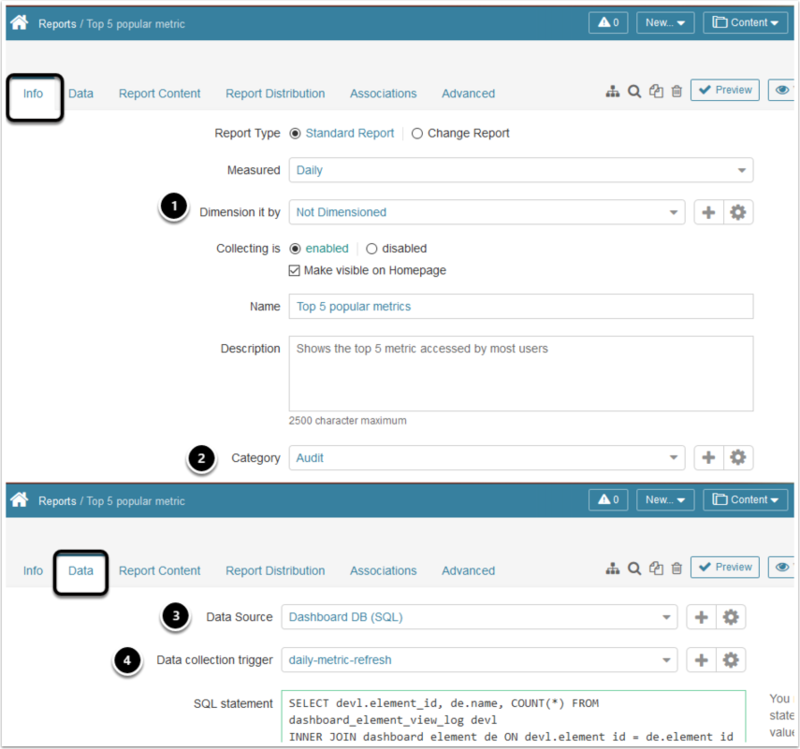 When they create an Element, they automatically receive Edit Access to that Element and become the default Technical Owner. PU can open an element's Editor even without access to the currently assigned Data Collection Trigger (or to any other Trigger). The PU is limited to changing the Trigger to one to which the PU has Use or Edit Access. For Power Users, element Security is designed to have both an Expanded Security Privilege for Elements and Permissions to a specific element. 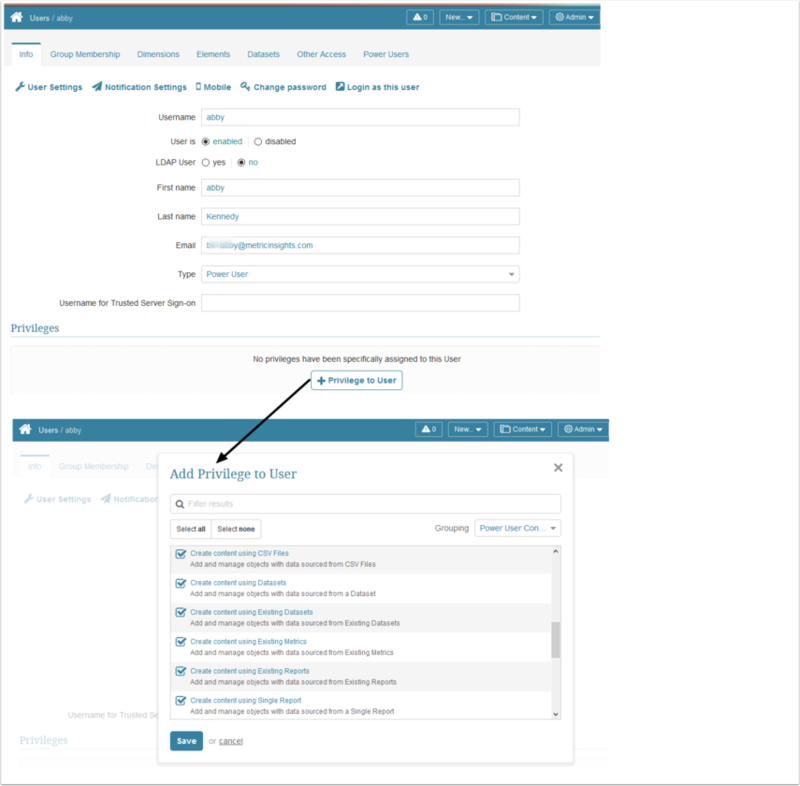 Privileges are granted via Info Tab > Privileges section on the Group or the User Editor. 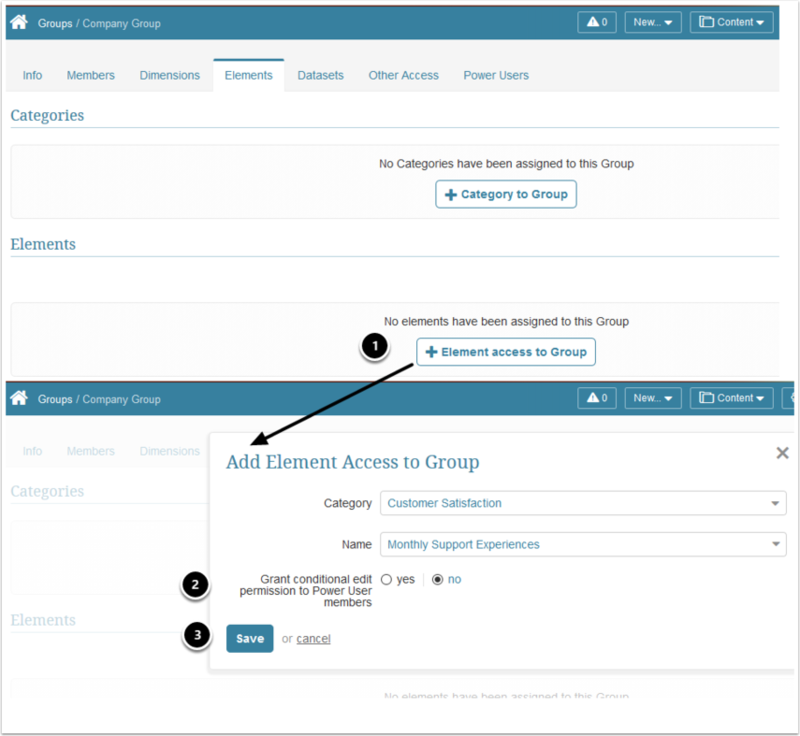 Permissions are granted via the Permission button on Group Editor, or on the User Editor > Elements tab as well as on the element Editor > Advanced tab > Permissions button. Every Power User has the implicit Privilege to Create Elements, and the Privilege cannot be manually added or deleted. There is one Element Privilege for Expanded Security. 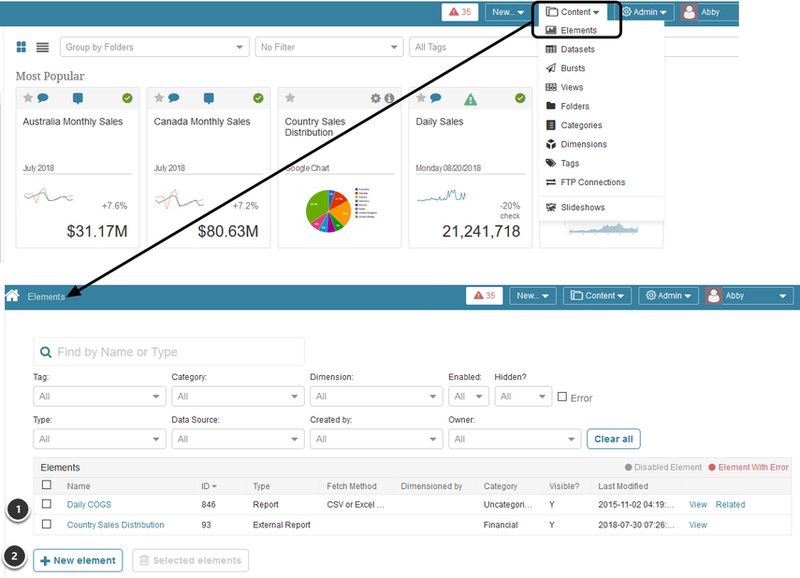 In addition, there are numerous Create Content Privileges that can only be directly assigned to Power Users or inherited from the Group(s) to which a Power User belongs. These Privileges govern the Data Sources that can be used to fetch data for elements. 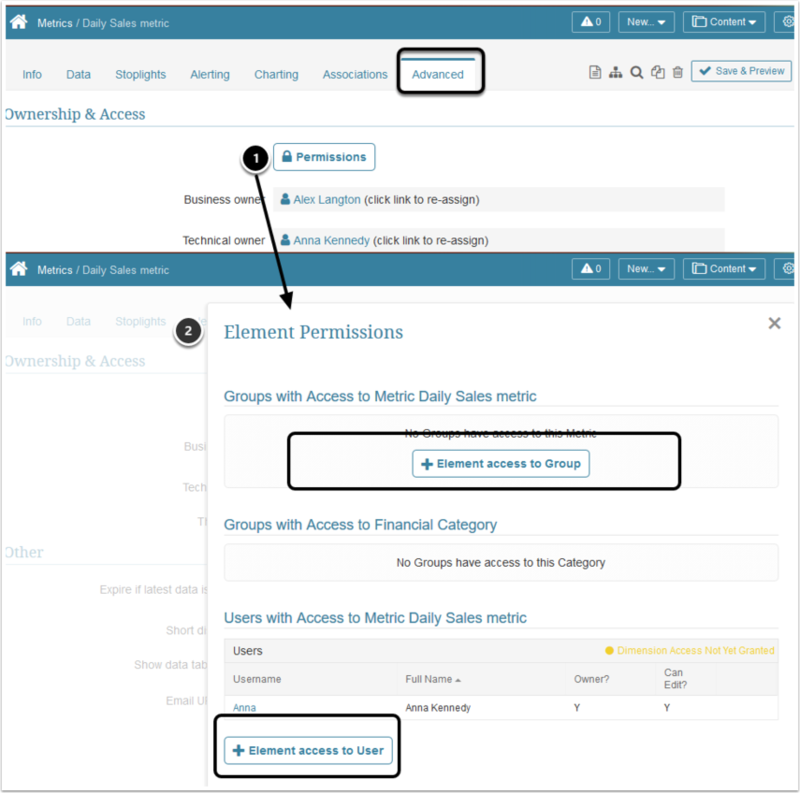 Permissions may be granted via the element's Editor, Group Editor or individual User Editor (by Admin only). PU can create a Metric or Report from a Dataset Viewer if they have the following Privileges and Permissions. Privilege "Create Content from Dataset"